Offer Disclosure: Plus tax, title, license and doc. $0 due at signing. $0 security deposit and plus first months payment. Must finance with Chrysler Capital to be eligble for non-prime bonus cash. STK#JM4284 Residency restrictions apply. To qualified buyers with approved credit. Ends 4/30/19. 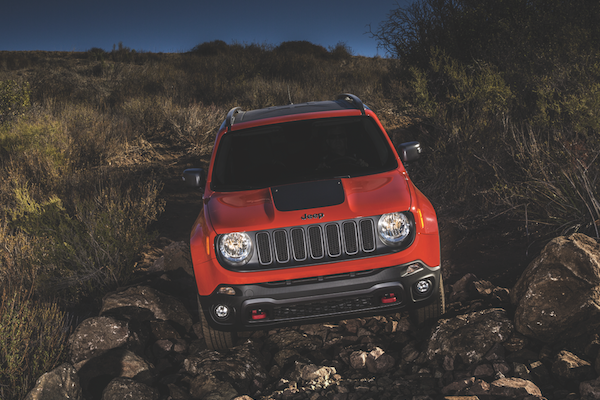 Have You Decided That the Compact Jeep Renegade Is the Best Vehicle for Your Daily Drive? 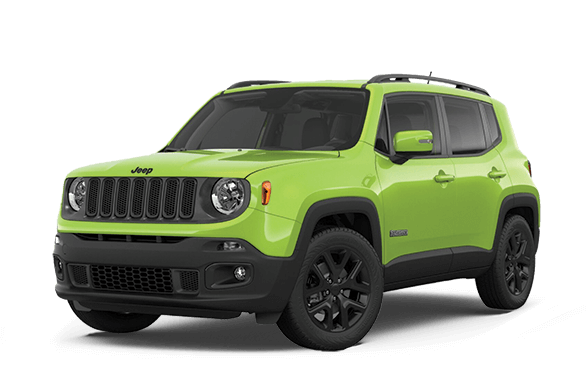 Why not take advantage of the current Jeep Renegade Lease Specials at Royal Gate Dodge Chrysler Jeep Ram of Ellisville? On top of the many benefits of the Jeep Renegade, you’ll also receive fantastic savings on a new Renegade of your choosing. 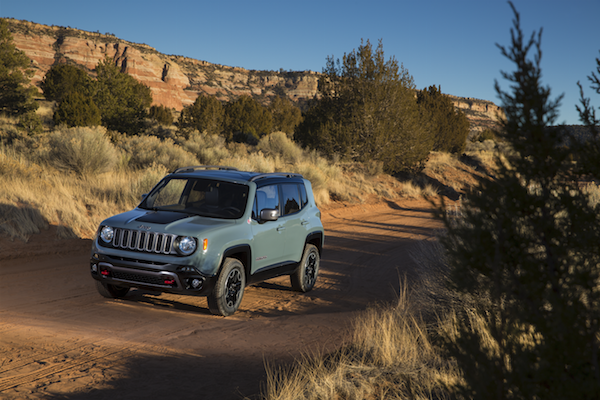 Once you’ve selected the perfect Jeep Renegade, schedule a test drive at our Dodge Chrysler Jeep Ram dealership in Ellisville, MO. Contact our team by calling (636) 394-3400 for more information. Impressively, the Renegade can tow up to 2,000 lbs. Choose between the 2.4L Tigershark® MultiAir® 2 and 1.4L MultiAir® turbo engine. The CommandView® dual-pane power sunroof provides a panoramic view of the outdoors. A height-adjustable rear cargo floor gives you a place to tuck away valuables for when you’re not in your vehicle. There are seven unique wheel design choices to select from, including aluminum polished and painted granite crystal, and aluminum polished and painted satin silver. The 2017 Renegade Desert Hawk was named ‘Best Sub-Compact SUV’ at the Texas Auto Writers Association’s Truck Rodeo. The 2017 Renegade was also named one of Consumer Guide’s ‘Automotive Best Buys’.